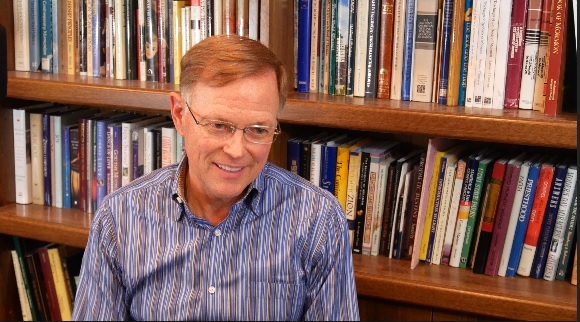 A few months ago, Dr. Thomas Wayment made headlines in the Mormon community when he came out with news that the Joseph Smith Translation of the Bible relied heavily on Adam Clarke’s Bible Commentary. Thom: A student assistant of mine, Haley Wilson-Lemmon, was working for me about four years ago now. And I’ve worked on the JST my whole career. It’s been interesting because it makes a claim to originality, at least modern Mormons claim that. And so, I’ve been probing it throughout my career. And, I had begun to think that Joseph Smith used a variety of sources, but I hadn’t nailed it down. And so, I said to Haley, I think you should take Buck’s Theological Dictionary. I think you should take Thomas Scott’s Notes and I think you should take Adam Clarke and start comparing it to a series of test passages in the JST and just see what crops up because I’m suspecting there’s influence, but I don’t know. And she comes back, and we look at the column of Adam Clarke and it’s overwhelming. There are some strong parallels. And so, over the course of about 12-14 months, Haley compared every single JST to all of these and we have a massive amount of data, and sure enough it. It’s very clear. 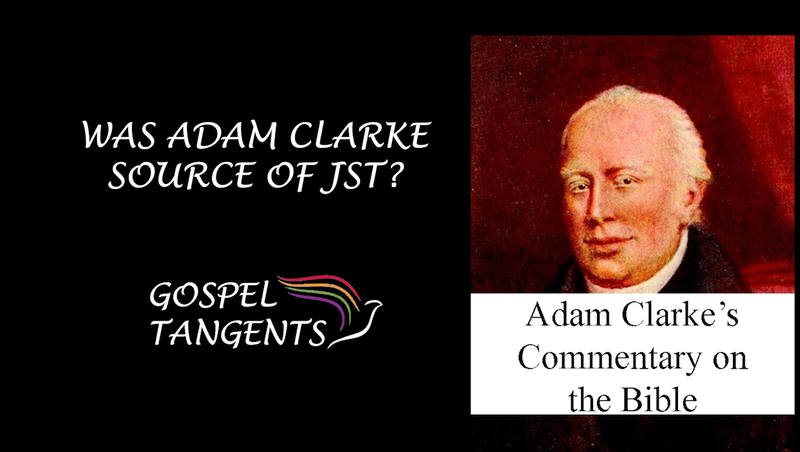 It’s conclusive that Joseph Smith used Adam Clarke. And when I say use, I want to stick by that term. This isn’t him simply saying, “Okay, here’s three sentences in Clarke. I’m going to copy it out and call that inspiration.” It’s not that. He has words that come from Clarke that now come into kind of an expanded sentence that Joseph has created. Clarke will recommend flipping the order of verses and Joseph will do that. Weird words like unicorn in Isaiah, Joseph will go to [Clarke] to realize that’s not unicorn. And so, he’ll add [Clarke]’s statement about it or he’ll say, this is re’em. What implications does that have for Latter-day Saints of faith? Thom: That’s really been how the conversation has kind of taken life, which in some ways is unfortunate. In some ways it is a good moment for pause. What I see as a scholar is it’s confronted a narrative about the JST that people have, that the JST is a moment of absolute revelation. No other influences happened that he was giving us the Bible as it was originally. And if you had that view, it’s going to be a hard thing. And, yet as a historian, it’s unfortunate. Joseph never made that claim. He never tells us that the Lord commanded him to start it. There is no revelation that currently exists where he is directed or says he was directed to go translate the Bible. We find him recording a commandment to work on Matthew but not Genesis. And so, in this sense, he never canonized it. He never, if you will, said, “This is the original Bible.” And during this time, he has another statement that we refer to as a revelation. “Seek ye out learning from the best books.” And for heaven’s sakes, that’s what he’s doing it. It’s really a practical process. I suspect that there are other sources. I suspect it’s not just Clarke and in the coming years, I’ll play that hand a little more broadly. But this is him working on the Bible. For the Latter-day Saint who feels confronted by this, we know he studied Hebrew after this. He’s trying to engage both his role as prophet, so he owns the text in one sense, but he continually feels like, “I need some training.” And Clarke is a really good resource of the day and a modern scholar wouldn’t feel that and I don’t feel that, but of the day it’s very good and I think he comes to trust Clarke. I think later he says, “Well, maybe I could learn Hebrew. And he does some work in Hebrew in Kirtland 1835 period. And I think again, like he went with the Book of Mormon, he went to Luther Bradish, he goes to Charles Anthon and others to say, “Can you help me?” Or, “Can you translate this?” He has a scholarly component in every one of his translations and that to me seems pretty normal. But, maybe to the modern believer it might confront a narrative of faith that they had that was an absolute point. Check out our conversation…. If you’re interested in a transcript of this conversation, click the Yellow Subscribe button on our website at GospelTangents.com, or you can pick up a book at our Amazon page! Dr. Thomas Wayment says Joseph Smith relied on Adam Clarke’s Bible Commentary for many of JST changes. Check out our other conversations with Dr. Wayment! Does Polygamy in D&C 132 Conflict with JST Genesis? We continue are discussion with Dr. Brian Hales. (Part 1 is here.) He has written a comprehensive history of Joseph Smith’s Polygamy (Volume 1, Volume 2, and Volume 3.) In this episode, I’ll ask him about Dr. Mark Staker’s claim that Black Pete may have been responsible for introducing polygamy into the Kirtland period. Joseph knew the Old Testament, he knew Abraham had more than one wife and Jacob, so why would we need to think that it was Black Pete that was introducing this in a very real way, especially when Joseph wasn’t supportive of so much that was going on when he first arrived down there, and the types of spiritual experiences that they were expressing in their church meetings and things like that. So I’m a little dubious on that, but I just applaud Mark. I say go forward and let us know. He also makes an interesting statement about the Joseph Smith Translation of the Bible. I believe all of these principles came to Joseph line upon line, precept upon precept. Some of the exciting things that are happening down at BYU, Tom Wayment and others are looking at the Joseph Smith Translation very carefully and discovering that it really shouldn’t be thought of as actual scripture in and of itself, that it was a chance for Joseph to expand upon the text to make the Bible text correspond with the theology that he was receiving through revelation, or through communications that he portrayed to be from God. I asked Brian about differences in biblical polygamy and Doctrine & Covenants 132. GT: Well so I guess my question is as far as 132 and Genesis, does it seem to you that there’s a difference among those two scriptures as far as whether God commanded Hagar to be a plural wife or whether Sarah was totally responsible? Brian acknowledges the accounts are different, but it doesn’t bother him. Brian: So for me to see the JST Genesis and that it doesn’t necessarily say what comes in 1843 doesn’t surprise me because of the line upon line, precept upon precept process. What do you think about these different accounts about Hagar’s marriage to Abraham? Does it bother you that these two accounts seem to differ in whether God commanded the marriage, or Sarah suggested it?